In observance of Labor Day, the offices of Rollins Financial and Rollins & Associates will be closed on Monday, September 2nd. Please note that all major U.S. stock exchanges and banks will also be closed due to the Labor Day holiday. If you require immediate assistance on Monday, please contact Joe Rollins at 404.372.2861 or jrollins@rollinsfinancial.com. 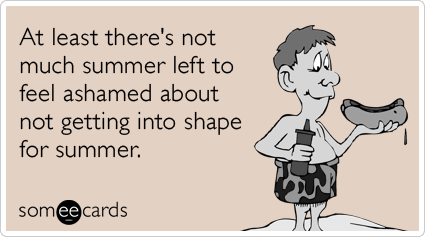 Our office will re-open for business on Tuesday, September 3rd at 8:30 a.m.
Be safe, and have a great holiday weekend!! July 2013 was another excellent month for the stock market. The S&P 500 was up 5.1% for July and 19.6% for the year-to-date; the Dow Jones Industrial Average was up 4.1% for the month and 19.9% for the year-to-date; and the NASDAQ Composite was up 6.6% and 20.9% for the year-to-date. During July, the Dow and the S&P both reached record levels while the NASDAQ reached its highest level in more than 12 years. Succinctly, if you were invested in the U.S. stock market during July, you likely would have earned more money in one month than a five-year CD pays an investor during the entire five-year period. From an investing standpoint, July was an interesting month. For the first time in quite a while, the stock-pickers outperformed the index funds. Many of the actively managed portfolios exceeded the indexes by one to two full percentage points. For the first time in many months, the international funds actually showed some positive returns. For example, European funds are starting to show positive returns along with Japan. As everyone has probably heard, Japan is trying to stimulate its economy and is basically committing all of its central government’s resources to contribute to increasing growth. Japan has basically been in a recession for the last 25 years and they have agreed to release all necessary federal stimuli to improve the economy. Personally, I’m not a believer in the Japanese way of doing things, and therefore, I don’t pursue Japanese investments. Meanwhile, Europe is showing some early signs of improvement, but they’re a long way from being out of the woods from a financial standpoint. Until they figure out a way to stimulate the private business sector in Europe, they just cannot grow. Basically, almost all of the international funds are underperforming compared to the U.S. stock market, which is one of the best in the world. For the month of July, bond funds showed a miniscule return and nearly all taxable and municipal bond funds are showing serious year-to-date losses. The only bond funds that are showing some life are the high yield bond funds, which actually had a decent return during July and at least have small positive returns year-to-date. However, with the high likelihood that interest rates will be going up in the coming months, bond funds may well continue to be a challenging asset class for investors. 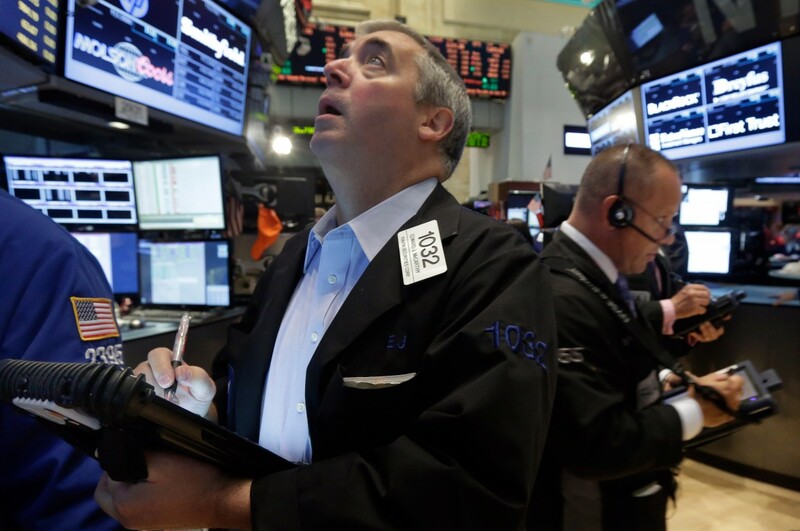 September is notoriously a difficult month for investors. Added to that month’s normal seasonal negative behavior in the market is the anticipation that the Fed will cut back on its bond purchasing program. For those reasons, I certainly expect for volatility to increase over the next 60 days. However, I don’t see the major markets totally unwinding. As long as there are no better alternatives to stocks, I expect the market – even if volatility is an issue – to trend higher. There’s presently a great rotation occurring out of cash and bonds and into U.S. equities. In fact, bond funds are seeing record withdrawals with the vast majority of that money ending up in U.S. equities. With money market accounts paying zero and CDs paying only marginally higher, these types of investments will guarantee a loss of purchasing power over time unless, of course, there is no inflation. Practically the only investment currently returning real returns over the rate of inflation is U.S. equities. Volatility will continue to be evident until other investments stabilize, but it is our intention to be principally invested in high quality U.S. equities. I believe the final investment returns for the 2013 year will be fairly close to where they are presently. If 2013 ends with a 20% return, we would all agree that it was a very satisfactory investment year. Nevertheless, I’m not willing to cash in our chips today because I may be as wrong about this as I was about the low double-digit returns I forecasted at the beginning of the year. I have no reason to believe that the market will be lower at the end of the year than it is today, but I’m unwilling to get out because we need to participate when the market moves up. A while ago, I read a book by Peter Lynch, the famous Magellan Fund manager during its heyday from 1977 through 1990. Lynch’s investing philosophy is to stay invested at all times regardless of economic circumstances, and he famously pointed out that "Far more money has been lost by investors preparing for corrections, or trying to anticipate corrections, than has been lost in corrections themselves." As that remark pertains to this particular year, I believe it is wise to follow Lynch’s sound advice. As such, we will stay invested, even if there is a correction on the horizon. This week’s question comes from Jack, a client who is wondering if he can convert his traditional IRA into a Roth IRA or make an outright contribution. Q. I’ve heard there is no longer an income limitation on folks that want to convert their traditional IRA into a Roth IRA. Is that accurate? And is it something I should consider or would you advise making a direct contribution to my Roth IRA instead? A. You are correct, Jack. There is no longer an income limitation that would prevent someone from converting their traditional IRA funds to a Roth IRA. Keep in mind, however, that when you elect to convert your funds, you will be taxed on the converted amount in the year of the conversion to the extent that your conversion exceeds any basis you maintain in your traditional IRA. Therefore, if you have no basis (i.e. you have never made any non-deductible contributions to your traditional IRA) the full conversion amount would be taxable. And if you decide to do a partial conversion of your balance, under the law all of your IRAs get aggregated to determine the taxable amount. The complex calculation of determining how much of your conversion that would be taxable is beyond the scope of this blog (other than the example below), but we would be happy to calculate the taxable portion for you if this is something that you intend to do. Whether or not you should move forward with a conversion depends entirely upon your specific taxable situation. Quite possibly, you have very little income and can sustain the taxable conversion keeping you in the lower tax brackets. If not, and it will bump you up to a higher tax bracket, then it may be wise to retain the funds in your traditional IRA until you need to begin taking distributions. We can certainly perform a complimentary review of your income tax situation to see if a conversion would make financial sense for you. In order to contribute directly to a Roth IRA, you must meet certain income thresholds. For 2013 single taxpayers, the phase-out to make a Roth IRA contribution begins at $112,000, and for married filing jointly couples the phase-out begins at $178,000. Since most average to high taxpayers will fall above these limits, they will not be eligible to make direct Roth IRA contributions. And if you fall above these limits, you most likely are unable to make a deductible traditional IRA contribution (not being covered by a company retirement plan could change the deductibility). Therefore, it begs the question – could I make a non-deductible (after-tax) traditional IRA contribution and then immediately convert it to a Roth IRA? That sounds like an excellent way to avoid the income limitations of direct Roth IRA contributions. However, there is a catch, and it can be a costly one if you are not aware of it. As mentioned above, upon conversion, all of your IRA accounts are aggregated to determine the taxable portion. Therefore, if you make a $5,500 (maximum) non-deductible (after-tax) contribution to your traditional IRA with the thought of turning around and converting it tax-free to a Roth IRA, you need to make absolutely sure that you don’t have ANY other IRA accounts in your name. If you do, they will be combined to determine the taxable portion of that $5,500 conversion. So, yes, even though you contributed that $5,500 with after-tax dollars to a separate IRA, if you have other IRAs with little or no basis, almost all of that $5,500 will be taxable upon conversion. Let’s continue our example. Let’s say you decide to make a non-deductible contribution of $5,500 with the intent of converting it tax-free to a Roth. But you also have a traditional IRA worth $50,000 and a SEP IRA worth $100,000. Your collective IRA balance, prior to any conversion, is $155,500 ($50,000 IRA + $100,000 SEP + $5,500 IRA contribution.) Let’s also assume that only your 2013 contribution of $5,500 was non-deductible (after-tax). This gives you a basis in your IRAs of $5,500. Upon aggregating all of your IRAs that have no basis ($50,000 + $100,000), we can calculate that approximately 97% ($150,000/$155,500) of all distributions (and conversions) will be taxable to you. So of that $5,500 that you contributed with after-tax dollars, now 97% ($5,335) is taxable to you upon conversion. Keep in mind that this simple example illustrates the potential taxability of a conversion where one was not aware there would be any. Now, you should also be aware that this could potentially work – and work very nicely to avoid those income limitations - but ONLY if you have no other IRAs. If you think you fall in that category, please contact us and we can review your specific situation to determine if this strategy will work for you. It is also worth mentioning that once you have established a Roth IRA and have made contributions, you can always withdraw the basis (your contributions) at any point in time with no penalty or taxability. If you are trying to withdraw your Roth IRA conversions, those may be subject to certain limits beyond the scope of this blog and should be discussed to determine any taxable effect. 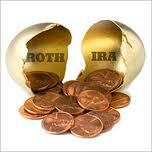 So, Roth IRAs can be a very effective tool as an alternative to a savings account. Whatever money you put in, you can take out if needed. Keep in mind that this withdrawal would not include gains, but nonetheless can be an effective strategy for a forced savings plan. While this is certainly not the point in establishing a Roth IRA account, there is comfort in knowing that you can always access your contributions if the need arises. This is not the case with a traditional IRA. Once the funds are invested in a traditional IRA, you cannot access them without tax or penalties (under most cases) under distribution rules, regardless of whether they were deductible or non-deductible contributions. If you are able to contribute directly to a Roth IRA, you should consider doing so. If you are above the Roth IRA income limitations and can make a non-deductible contribution, you should consider that as an option. If you have no other IRAs, you can usually take advantage of the strategy discussed above and make a non-deductible contribution subsequently converting that contribution to a Roth IRA. But if you have other IRA accounts, be careful of employing that strategy as part of your conversion will most likely be taxable. Again, we would be more than happy to provide a complimentary review of your specific situation if you would like to take advantage of any of these discussed ideas. In a nutshell, the more you can begin to put away now for your retirement down the road, the more you will help to grow your nest-egg. Jack, thank you for your question as it allowed us to share a potential strategy with our readers and you that may be useful in your particular situation. We encourage our clients and readers to send us questions for our Q&A series at Contact@RollinsFinancial.com. And as always, we hope you will keep Rollins & Associates and Rollins Financial in mind when seeking professional advice on taxation, financial planning and investing.